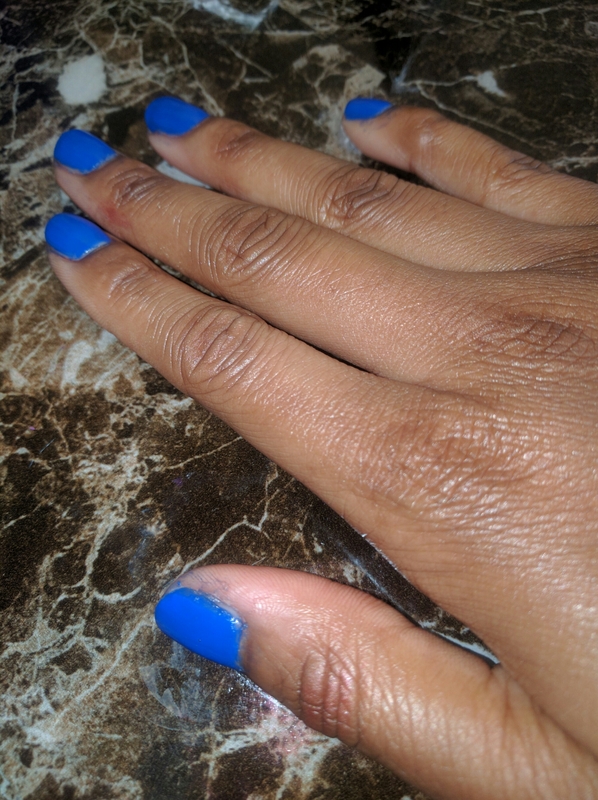 Today’s manicure is a beautiful cobalt blue, creamy shade, #130 by Chelly. I found this polish brand at Walgreens while searching for nail polish remover. For those of you who know the layout of Walgreens, you know that where I found this is nowhere near the remover, but when has that ever stopped me from getting nail polish?! (Especially reasonably priced ones). It has no glitter or shimmer, and has an awesome crème formula. 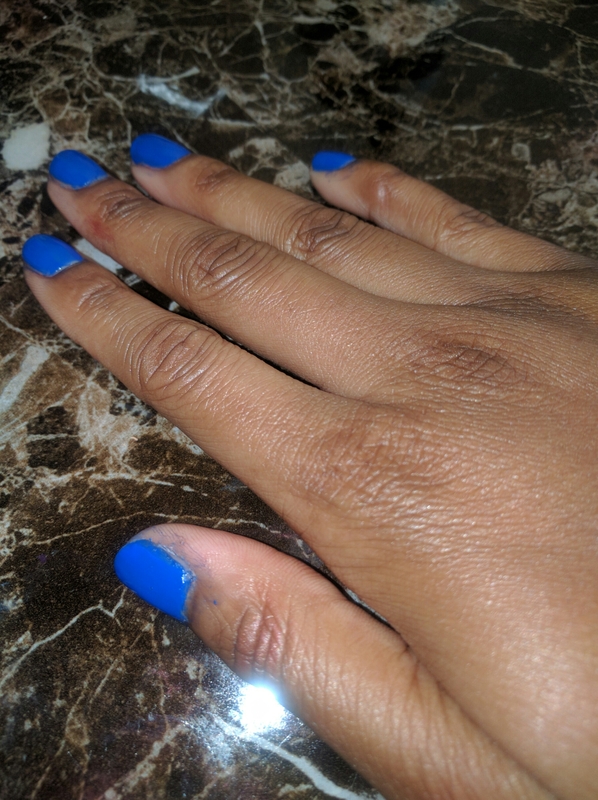 I think you could wear this polish with one coat, but I think you need the two coats to get the richness of this color. 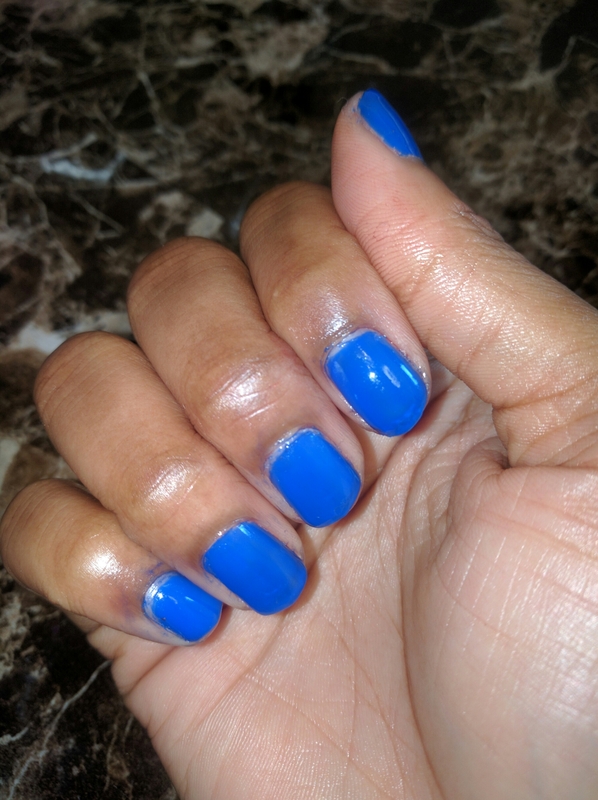 .the color and formula of this polish reminds me very much of a cult favorite, which has been discontinued in its original formula. For the nail polish enthusiasts, the name of it has already come to mind. 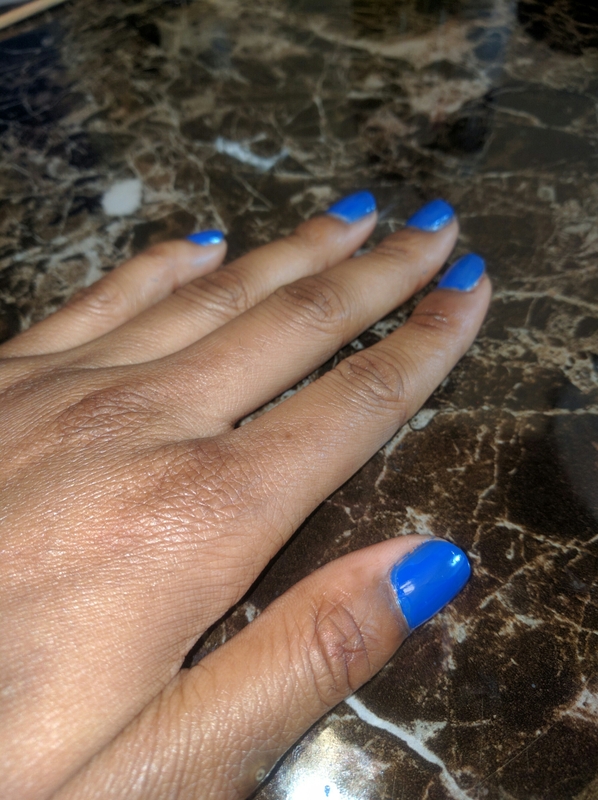 It is ‘Pacific Blue’ by Sally Hansen. I will have to compare them at a later time to see if they are dupes. But what I do know for sure is they are very similar, and that makes me very happy because I thought I would never find a substitute. 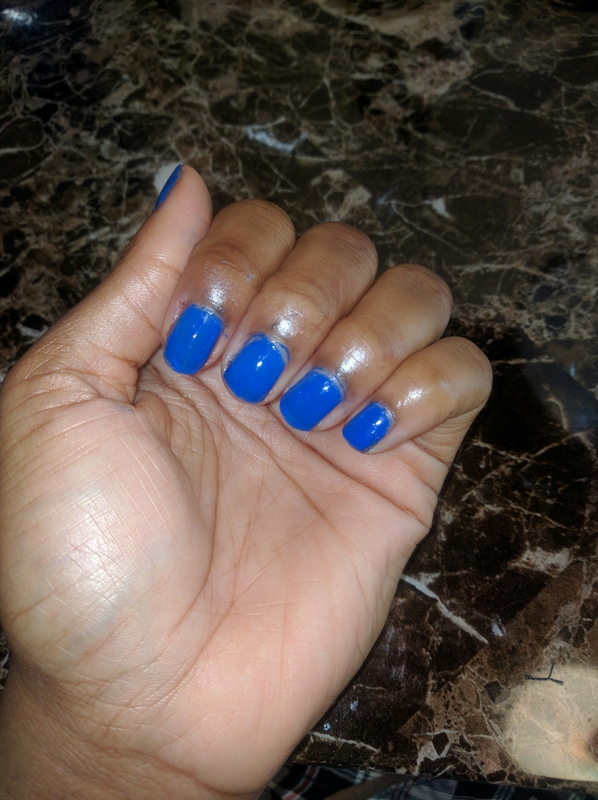 – HK Girl Fast Dry Top Coat by Glisten and Glow.